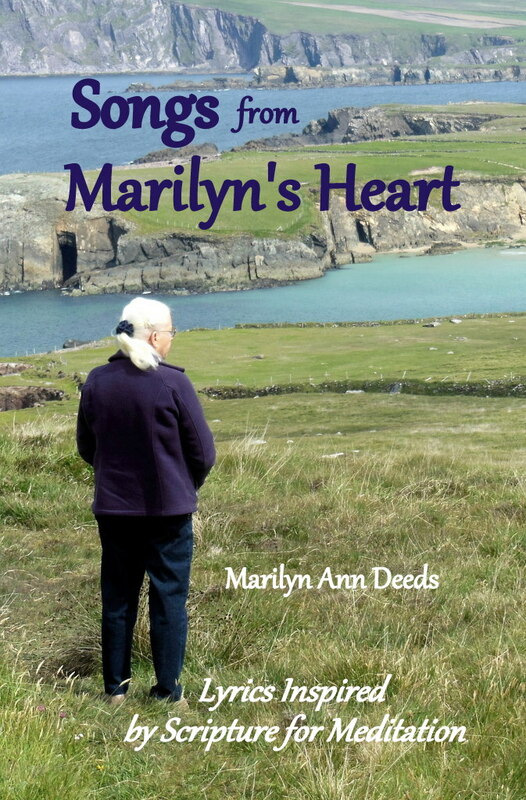 Songs from Marilyn's Heart is a collection of my original songs printed in poetic form. The songs are arranged to encourage meditation on Christian precepts common to the Holy Bible and manifested in the lives of Christians. Beginning in 2000, the songs were revealed. For me it became both a fascinating and mysterious experience. I would wake up in the middle of the night with new melody and lyrics filling my mind. They were so predominant and complete that I could not ignore them. Climbing out of bed and snatching up my mandolin I would record the melody in standard notation. Then before the song could slip away I would scribble the lyrics on any available scrap of paper. I soon found that any hesitation of such action would result in the disappearance of the song. This phenomena would occur sometimes 2 or 3 times a week over a period of 2 1/2 years. Religiously collecting over 150 songs they soon became a significant part of my bluegrass-gospel repertoire. Sharing them at campouts and festivals soon grew into a full-time traveling music ministry and the recording and marketing of three CDs. Now I desire to share some of my songs in this written format for your pleasure and contemplation. My prayer is that you will grow in your understanding and trust in God as you reflect on the pairing of my words with the words of sacred Scripture. Oh, I'm looking for something; it may be green pastures. I'm looking for something; it may be true love. I’m looking for something but I don’t know where to find it. I’m looking for something to fill up my heart. I’ve been to the east and I've been to the west. But still I am looking to fill up my heart. I’ve studied the wisdom of those gone before. Now I have found something! It isn’t green pastures. I have found something; not an earthly reward. Now I have found something to fill up my heart! Click to purchase "Songs from Marilyn's Heart"